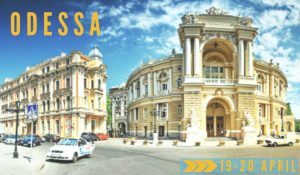 AESC is pleased to announce a call for participation in the Third Annual Convention that will take place in Odessa, Ukraine on April 19-20, 2019. AESC as the Caucasus’ only regional association of European Studies will use its Third Annual Convention to go beyond the borders of the Caucasus and assess the experience of the Black Sea region in norm diffusion and contestation. From EU membership of Bulgaria and Romania to the still tenuous negotiations of a Strategic Partnership Agreement with Azerbaijan, there is a wide range of legal approximation and norm diffusion taking place. Mandated by agreements with the EU, the task goes far beyond technicalities and involves the changing of political culture and discourse. The Convention will be hosted by Odessa I.I. Mechnikov National University. For the general topic, the AESC Programme Committee will accept proposals for panels (max. 3 presenters, max. 2 discussants), roundtables (max. 5 participants), individual presentations and also poster presentations. A special feature will be “junior sessions” moderated by experienced researchers and aiming to provide methodological support to early-stage research projects of young scholars. Graduate students are invited to submit individual applications as well as panel proposals (max 5 presenters and a moderator). 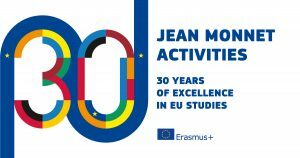 Presentations from all angles of European Studies including the relevant mother disciplines are welcome. to the Programme Committee, c/o kruessmann.thomas@gmail.com. If you want to apply for “junior sessions”, please send your documents to aesc.junior@gmail.com. Participation in the Third AESC Annual Convention is free! Please visit us at http://aesc-online.eu. Membership in the AESC is free for citizens from the wider region. REGISTER HERE to attend the Convention (registration is open until April 15th). PreviousPrevious post:Minutes of AESC General Assembly MeetingsNextNext post:“European Studies in the Caucasus” available for 50% discount!